CALGARY, ALBERTA, CANADA, NOVEMBER 20, 2016 – The M&A Advisor has recently announced the winners of the 15th Annual M&A Advisor Awards. 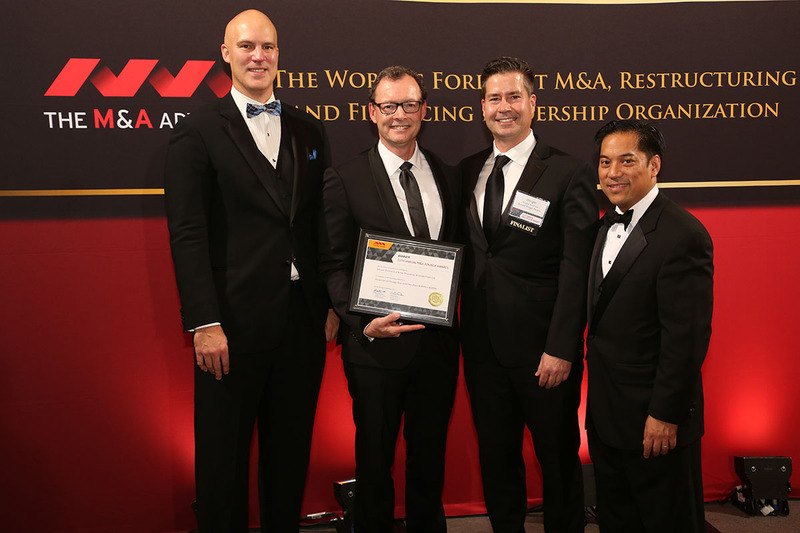 At their recent 2016 M&A Advisor Awards Gala, at the New York Athletic Club, the leading M&A publication awarded Paladin CMS Advisors, Canadian partner of ONEtoONE Corporate Finance, the 2016 Strategic Deal of the Year Award ($10mm-$25mm) for their work on the Korite Minerals and Canada Fossils deal. The M&A Advisor Awards Gala is the premier celebration of the year for the industry’s leading M&A Dealmakers and was held in conjunction with the 2016 M&A Advisor Summit that featured over 500 of the industry’s leading M&A professionals participating in exclusive interactive forums led by over 45 M&A, media, academic, and stalwarts. In addition to the announcement of the 15th Annual M&A Advisor Award winners, Thomas Farrell, Executive Vice President, Generational Group was presented with the 2016 Lifetime Achievement Award; and Marshall Sonenshine, Chairman, Sonenshine Partners; Professor, Harvard University Law School; and John Reiss, Global Head of White & Case’s Mergers & Acquisitions Group received the 2016 Leadership Award. To view a list of the 15th Annual M&A Advisor Award winners please CLICK HERE. Paladin CMS Advisors (Capital Markets Strategy) www.paladincms.com is a boutique, private Canadian investment banking firm dedicated to serving private middle market companies with M&A advisory. Paladin CMS is also the Canadian Partner of ONEtoONE Corporate Finance www.onetoonecf.com, a global digital investment banking group that is redefining the M&A industry, with more than 100 senior advisors, industry consultants, and researchers across 30 countries who are obsessed with results.